We can not say it often enough, but a good mastering begins with the source. 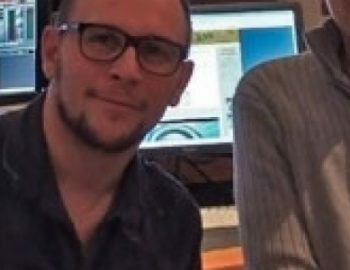 Without a good sound, there is usually no good mastering possible. That’s why we review good sounding VST soft synths every now and then. To inform our customers about what is out there. So that they can make a better mix with better tools before delivering the mix to the mastering studio. 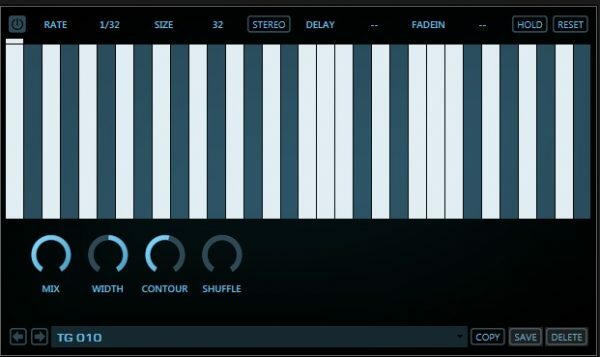 This time we have chosen a soft synth from one of the newcomers in the world of software synthesizer plug-ins. Namely the Lethal from a company called Lethal Audio. 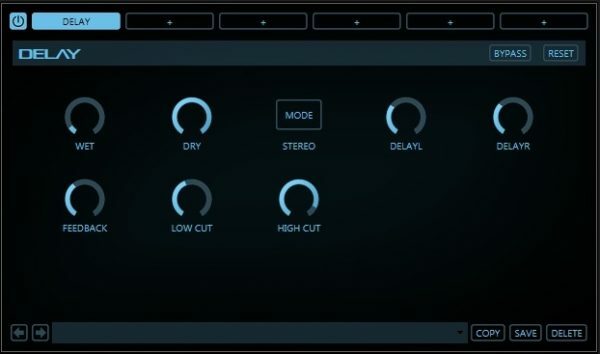 This stylish looking plug-in differs from others because of the technique that is used to reproduce the sounds. The sounds are all based on samples. That’s why this kind of plug-in can also be called a rompler. The advantage of a rompler is that you are not stuck to the limitations of the oscillators found in a traditional synthesizer. As a result the possibilities of sounds that can be created are endless. The Lethal could be compared with the Nexus because they are both based on the rompler technology. The Nexus which also sounds very good is more expensive than the Lethal. The Lethal is sold for less than 200 euros. 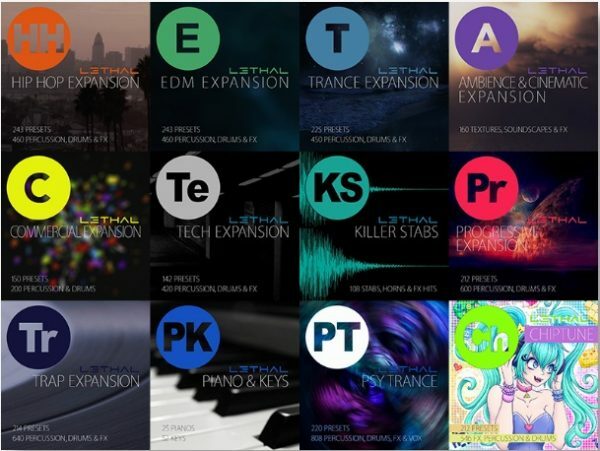 For Lethal several expansion packs are available in different genres such as EDM, trance, and hip hop. At the time of writing there are 12 free expansion packs available. Regularly new expansion packs appear. These packs were available free of charge for registered users until June 2017. The good news is that Lethal Audio has extended the offer for a limited time. So after June 2017 those expansion packs are available for free for a while longer. You can order the Lethal on the website of Lethal Audio. Here you can also get the various expansion packs. Lethal has made a lot of tutorial videos about the different functions of the Lethal. You can find those videos on their website. Fortunately Lethal is CPU friendly. However, the expansion packs take quite a bit of disk space. A few gigabytes per sample pack is no exception. 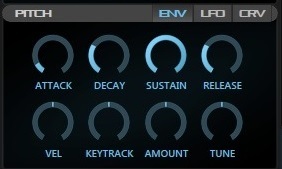 But I guess that counts for all the rompler based soft synths. Nowadays that should not be a problem. It’s useful to download the demo version first. The demo is limited to 100 sounds but fully functional. 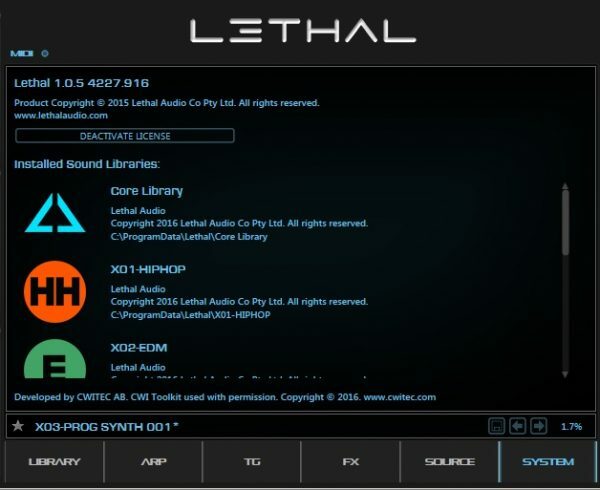 The Lethal is available as VST, AU, and AAX plug-in for both 32 and 64-bit operating systems. The Lethal works on both PC and MAC. The installation procedure is simple. Install the 64-bit or 32-bit setup file and follow the on-screen instructions. Then install the expansion packs. Here you can choose where to install these packs. It is recommended that the specified path is used for these expansion packs. When you open the Lethal for the first time you are prompted for a serial code. This code can be found in your account on the Lethal website. The layout of Lethal is very clear. Most controls are visible at all times and clearly divided into different sections. This works fast and intuitively. The big screen in the middle shows you the categories and presets associated with the sounds. During the testing it became clear that the Lethal is very suitable for making dance music. The demo video above gives a nice impression of how good it sounds. 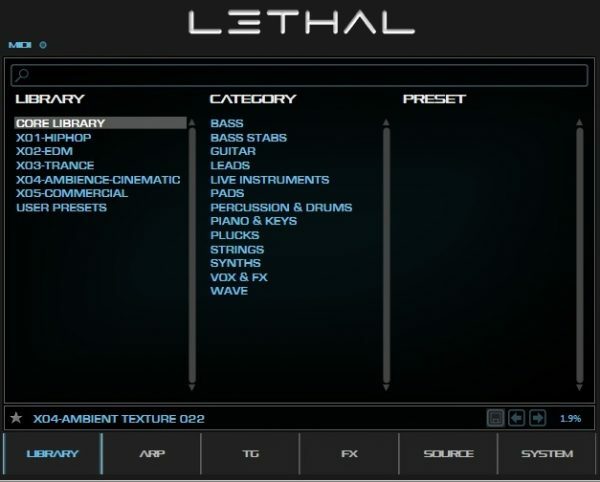 The Lethal soft synth comes standard with a core libary of 3000 instruments divided into 13 categories. These categories are subdivided into clearly defined presets. For example bass, leads, percussion, strings and more. On top of that there are also the expansion packs. The sounds have a very good sound quality with a natural stereo image, tightly defined midrange, and sparkling high frequencies. That means that the sounds can be easily used in your mix. And that these sounds generally form a solid basis for a good sounding mix. Some sounds were not as convincing. For example the Bells, the trumpets, and the choirs. The Nexus clearly does a better job when it comes to that kind of sounds. But there are many great sounding leads in the EDM and trance expansions. The ambience and cinematic expansions are also very impressive. Perhaps even better than those that can be found in the Nexus. In the center below the display you will find 6 menu buttons. Those allows you to switch between the 6 different screens. Library, ARP, TG, FX, Source and System. And in the preset column you will find the presets. Next to the library button you will find the ARP button. The arpeggiator allows you to create different patterns by shifting the blocks and changing the different parameters. In addition to the pre-programmed arpeggio’s you can also create and save your own patterns. When pressing the TG button the trance gate window appears. The trance gate can add a rhythmic effect to the sound. You can create a sequence by clicking your right mouse button on one of the bars. This causes an interruption in the sound. Using this on different bars creates a rhythmic effect. Using the various parameters you can create a very lively sound. You can use the trance gate together with the arpeggiator too. So you can create even a more interesting sound. Next to the trance gate button we find the button for editing the FX section. When pressing the FX button the display will show the buttons related to the various effects that the Lethal has to offer. 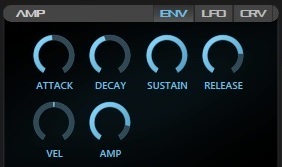 We can chose between reverb, delay, chorus, phaser, distortion, equalizer and bitcrusher. You add an FX by clicking on one of the 6 FX slots with your right mouse button. You can use 6 effects at a time. 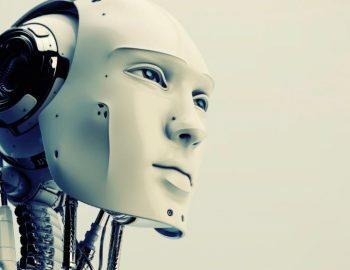 In the source section we find some general parameters that apply to the entire system. Amp source, filter source, and pitch source determine how much the volume, filter, or pitch changes when moving the modulation wheel on your MIDI keyboard when you choose the wheel option. The same can be done with the pressure option. This only works if you have connected a MIDI keyboard that supports this. Lethal then responds to the amount of pressure added to the key of your MIDI keyboard when pressing it. At the bottom part of the source screen we find 4 more parameters. Pitch bend determines the amount of steps you can go up or down when using your pitch bend wheel on your MIDI keyboard. The shift function is basically a transpose function. With this function you shift the whole keyboard a number of notes op or down. With Tune you can change the pitch of the entire keyboard with a maximum of half a note higher or lower. With max poly you determine the maximum number of notes that can be played simultaneously with the Lethal. If your computer is a bit slow it’s useful to put this parameter down a bit. The Lethal then consumes less processor power. Finally, we have the System button. Here you will find the version and license information. But you can also check which expansion packs are installed. The good thing about the Lethal is that you can edit all the generally impressive sounding samples just like a traditional synthesizer. These editing options are positioned to the left and right of the display. Let’s start on the left side. The left side has 3 sections. Amp filter and pitch. The AMP section is devided in 3 sub sections. ENV, LFO and CRV. The ENV section is responsible for the volume of the sound during the time that the sound is played. For example, the attack determines whether the sound is immediately audible once you press a key. Or if the sound is gradually increased in volume. And the release determines how long you hear the sound when you release the key. Decay and sustain determine what happens between the moment you press a key and release it again. With the LFO section you can modulate the sound. This modulation can produce different effects. For instance you can modulate the volume of a sound so that it gets a pumping effect. In this way you could create a “sidechain” effect. With the CRV function, you can change the different curves for the Attack Decay and Release of the AMP. The FILTER section has 4 sections: FIL, ENV, LFO and CRV. With the FIL section you choose the type of filter. You can also adjust cutoff and resonance. The drive button determines the volume of the filter. With the ENV, LFO, and CRV parts, you determine the behavior of the filter. Here you control everything that has to do with the pitch. This can be done in the same manner as the other options described above. On the right side of the display we find the Core FX. You can activate the various core effects by clicking the circular button next to the function names. This section is divided into a number of segments. The noise function creates extra noise to add to your sound. You can choose from different types of noise. With the amount button you determine the amount of noise. 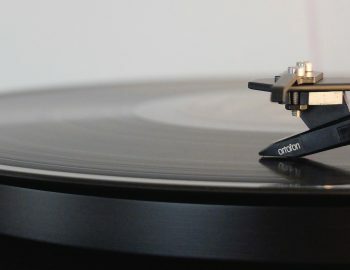 Unison allows you to add a copy of the sound so that it sounds richer. Detune determines how much the copy of the sound is changed in tune. And voices controls the number of copies of the sound you add. With this technique you can create sounds that fit very well in trance productions. The unison function invites you to experiment. So you can create your own unique variations of the basic sounds. You should also try this with drum and percussion sounds. The vibrato button allows you to vibrate the sound. With rate you determine how fast your sound should vibrate and with depth how deep the vibrations go. With the ST expand function you can create a wider stereo image. Width determines how wide your sound will be. 0% is the minimum value and delivers mono sound. 200% is the maximum value for a super wide stereo image. The delay button determines the distance between left and right. The more you turn this knob to the right the bigger the delay will be between left and right. The drive button is just a volume button. And with the shine function, you determine the amount of high frequencies. The Chord function is very useful for those of you that find it difficult to play chords. This function will play a chord by pressing just one key. With type you can select different types of chords. With the dir button you can choose whether or not to play the chord forward or backwards. With poly you decide if a sound is multi-voice or monophonic. With glide the notes will slide from one note to another. The time button determines how long it takes before the lethal slides from one note to another. Finally there is the main button which controls the general volume of Lethal. 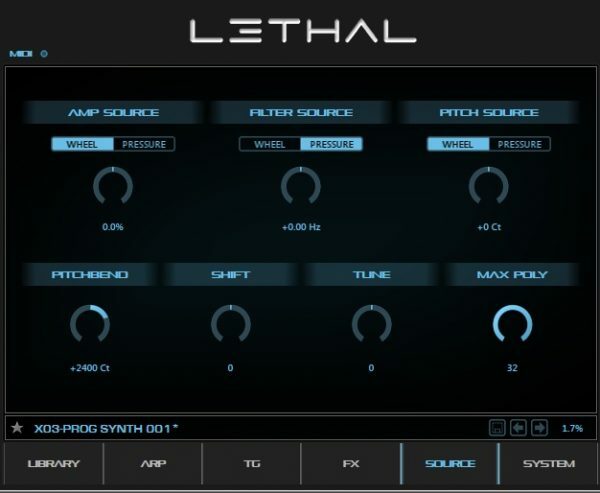 Lethal is a great synthesizer plug-in in the world of romplers. In general it sounds very good. 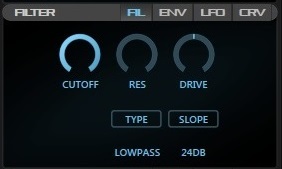 Using a plugin like this will certainly be a good starting point for a good result when mastering. We do not dare to say if this is a serious competitor of the commonly used Nexus. But we think Lethal Audio did a great job with their Lethal. The sounds are especially suitable for dance. Some common sounds like the Bells, the trumpets, and the choirs are not so convincing. But other sound make up for this. Lethal is a lot more attractive priced than some of its compatitors. On top of that you can use the 12 free expansion packs. 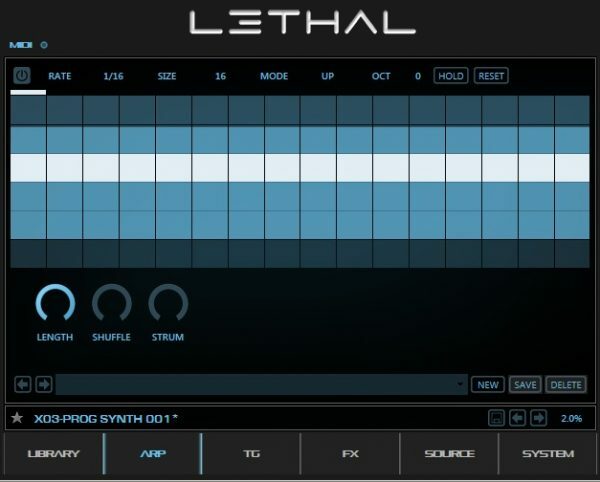 Lethal is a good additional weapon in your arsenal of VST instruments.